Tata Motors' passenger and commercial vehicle total sales (including exports) in July 2017 were recorded at 46,216 vehicles, higher by seven percent from last year (43,160 vehicles). The company's domestic sales of Tata commercial and passenger vehicles for July 2017 were at 42,775, higher by 13 percent from July 2016. "After a sluggish Q1, our commercial vehicles, in the domestic market, in July 2017, grew by 15 percent due to ramp-up of BS4 production, across segments. Passing on the benefits of GST to consumers by reducing the prices of its vehicles across all commercial vehicle segments has resulted in improved consumer sentiments. We are delighted with the strong response to our new introductions in SCVs (XL Series) and pick-ups (Tata Yodha) due to which growth momentum in this segment continues. 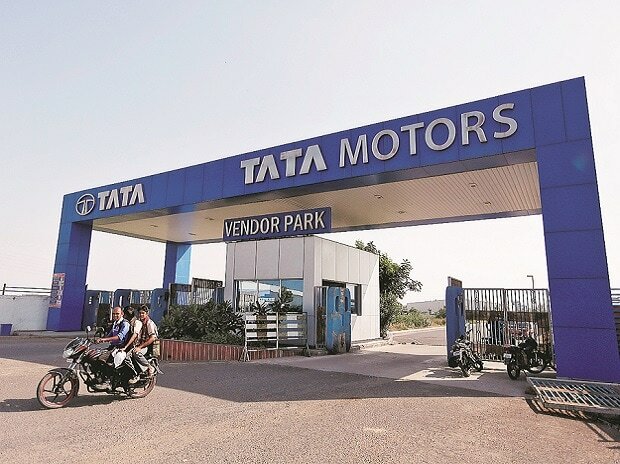 In line with our business turnaround, we continue to undertake series of actions to drive the growth momentum and improve the financial performance," said Girish Wagh, Head - Commercial Vehicle Business Unit, Tata Motors. "With an improved customer buying sentiment post GST, we are delighted to record a growth of 10 percent in the passenger vehicle market, in July 2017. The Tata TIAGO continues to witness strong demand, the TIGOR and HEXA have also witnessed strong traction in the market. We continue to maintain cautious optimism and will work towards turning around the business, in line with our well-defined strategy," added Mayank Pareek, President, Passenger Vehicles Business Unit, Tata Motors. The overall commercial vehicles sales in July 2017, in the domestic market were up by 15 percent compared to July 2016, due to ramp-up of BS4 production, across segments. The company also passed on the benefits of the Goods and Services Tax (GST) to consumers by reducing the prices of its vehicles across all commercial vehicle segments. The M&HCV segment saw a rebound in July 2017 and witnessed pick-up in demand and availability due to continued production ramp up. New models launched in the fastest growing segments of 49 ton and 37 ton categories have also gained strong traction in the market. Sales of M&HCV business grew by 10 percent in July 2017 at 8,640, over 7,879 in July 2016, establishing the wider acceptance of the new SCR technology. The I&LCV truck segment also grew by 28 percent at 3,354, over 2,626 vehicles sold in July 2016, on the back of good response to the new Ultra range and the new BS4 range in other products. Tata Motors Passenger Carriers sales (including buses), in July 2017 were at 4,472, registering a decline of 15 percent over compared to July 2016, largely due to supply constraints in the bus segment. The SCV cargo and pickup segment continued the growth momentum at 11,376 nos., higher by 34 percent than last July 2016, due to good response to the Ace XL, Mega XL, Zip XL, and the Tata Yodha. The company's sales from exports was at 3441 nos. in July 2017, recording a decline of 36 percent, compared to 5,371 vehicles sold in July 2016, due to a drop in volumes in Sri Lanka and Nepal.